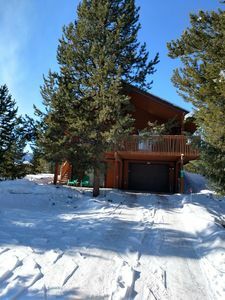 Granby Condo w/Pool & Mtn Views - Ski-In/Ski-Out! 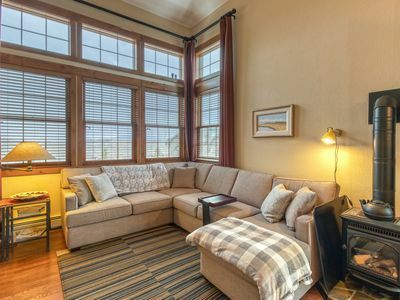 Ski, snowboard or make snow angels when you stay at this 2-bedroom, 2-bathroom vacation rental condo in Granby. 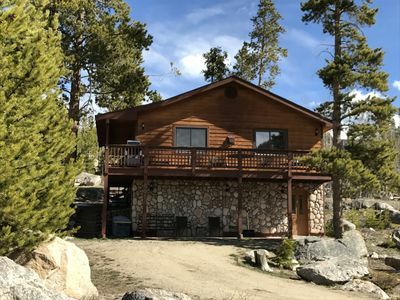 Perfect for families or friends traveling together, this property can accommodate up to 6 guests and includes access to Base Camp One’s outdoor pool, Jacuzzi, and more! 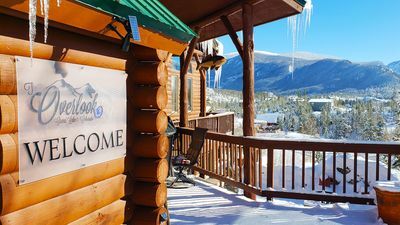 If you're seeking a relaxing mountain getaway filled with an abundance of outdoor activities right outside your door, then this getaway is your ideal respite! 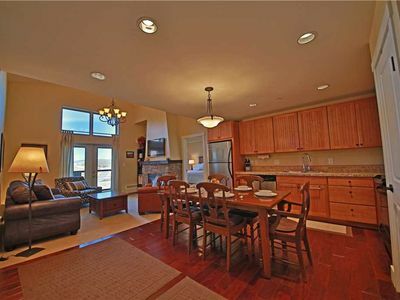 You'll love coming home to this condo at the end of a day exploring Granby! 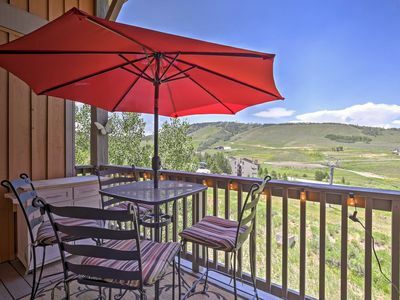 Enjoy mountain views from your private balcony each morning. 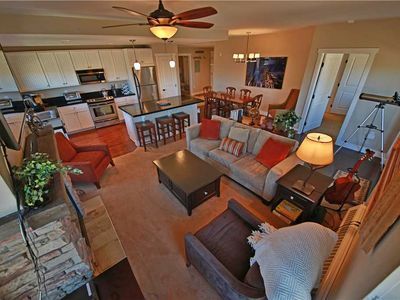 Make a cup of hot cocoa and warm toes by the fire as you watch favorite films on the flat screen TV. When you're ready for bed, pull-out the queen-sized bed from the sleeper sofa and rest easy! 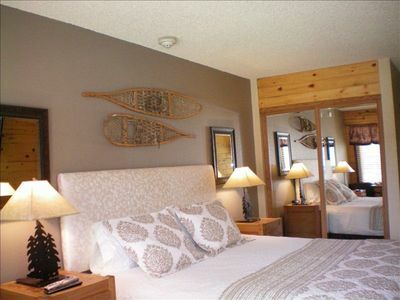 Guests staying in the master bedroom will love climbing into the king-sized bed to fall fast asleep. Getting ready for the next day's adventure is almost effortless in the en-suite bath with walk-in shower, large tub, and double vanity. 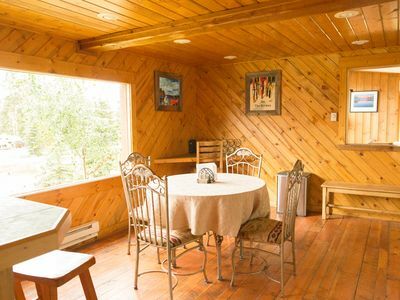 Prepare a delicious pancake breakfast to keep you full and energized for your day on the mountain! 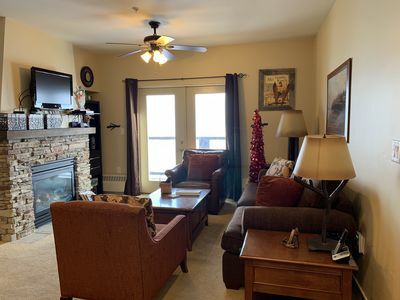 This condo also features heated underground parking, making it easy to access the property after a day of skiing! 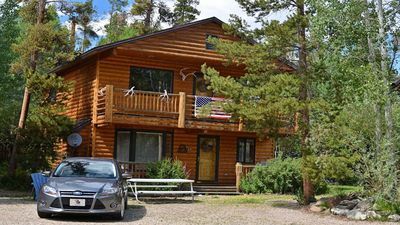 Guests will have access to a variety of amenities when staying at this mountainside condo including a community heated pool and outdoor spa! 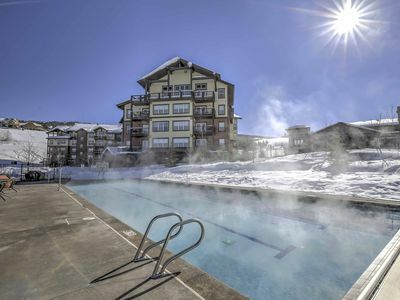 Loosen muscles in the hot steamy Jacuzzi after a long day of skiing. 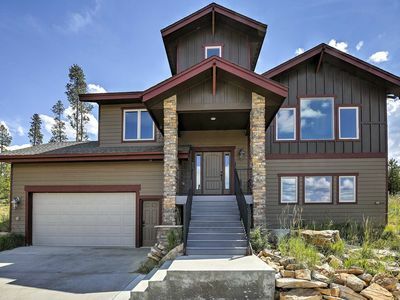 Located at the base of Granby Ranch, you're steps from racing down snowy hills. Ride the chairlift in the summer for incredible mountain views! Surrounded by such beautiful landscape, you're in the perfect place for outdoor fun. Whether you're hiking, biking, or fishing, you'll find new paths each day to explore. 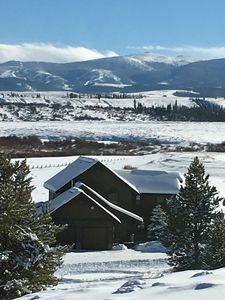 Show off your putting skills at Grand Elk Golf Club as you play 18 holes! 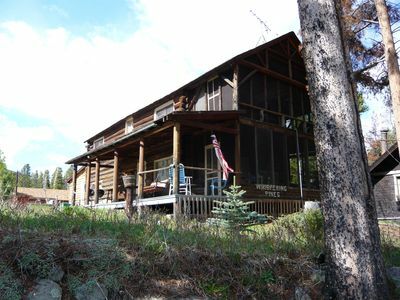 Lake Front Property - 4 Bedroom, Sleeps 8-10, Boat Slip, Lake Front & Sun Deck. 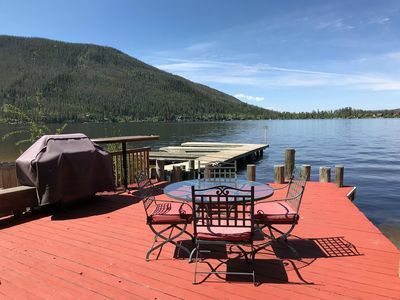 Charming Cabin In Town And On Lake! 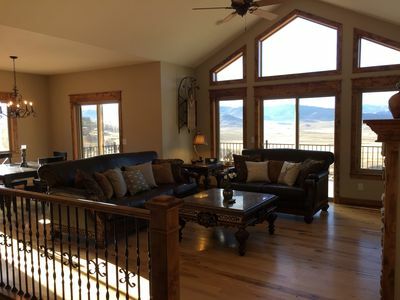 Sleeps 8! 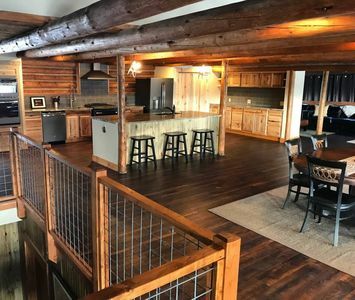 Granby Ranch Resort Condo w/Loft & Mtn. View Deck! NEW! 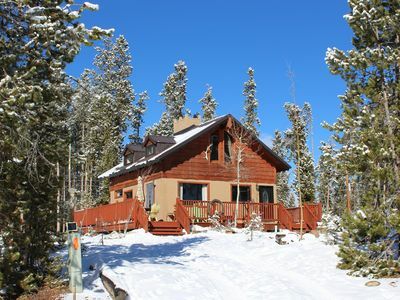 5BR/5.5BA Renovated Historic Log Cabin in the Heart of Town! Elevate your Stay! In town Grand Lake. 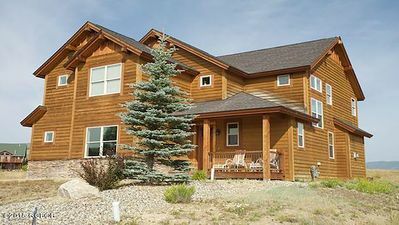 Sleeps 20. 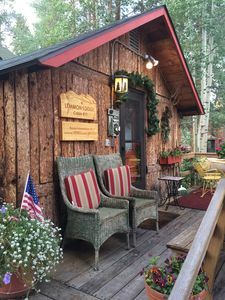 Resort Amenities included.